East Nashville gets a lot of press for its hip atmosphere and popularity with both new and local residents. However, before East Nashville become THE place to be – there was Sylvan Park. Sylvan Park is a fantastic neighborhood that manages to be near downtown Nashville but still provides a community environment for residents. It’s convenient to everything – Sylvan Park is near downtown Nashville, close to interstates, near hospitals, restaurants and retail. Basically, it is fantastic for Nashville homeowners who like to be near it all. It’s diverse – Sylvan Park has a lot going on, architecturally speaking. Many homes were built in the 1950s and you can still post several smaller ranch homes from this era. However, there are Victorians, Tudors and modern homes sprinkled throughout as well. Perhaps this is what makes Sylvan Park diverse in homeowners too – there’s a mix of families, singles, young professionals and students who live here. Still growing – There’s a lot of changes taking place in this area and it continues to attract more businesses and homeowners. The best part is there’s still growth opportunity in Sylvan Park. Home prices vary – Because the housing is so varied – from fixer uppers to new construction – the home prices vary too. Most family homes start in the mid $400s, but there are still foreclosures at deep discounts. 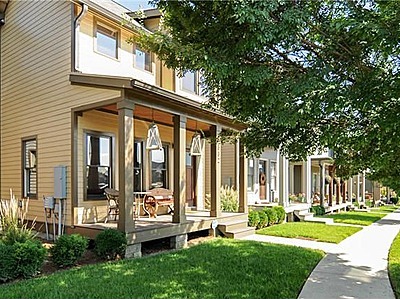 Want to know more about real estate available in Nashville’s Sylvan Park? Interested in buying a Nashville home in other areas? Contact DeSelms Real Estate today to speak with one of our Award Winning Realtors at 615.550.5565!